Sub-contract work - KeyWise Security. 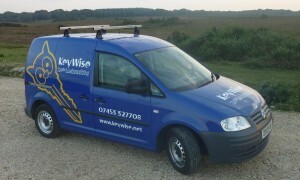 At KeyWise we have worked on a sub contract basis in the past and know about how it works. we are always open to working with other companies at all times. we have a flexible working schedule ourselves as we work directly with the customers, which is perfect for working sub contract. It is an industry we’re well informed and passionate about and any work is welcomed. We are a flexible company that works 24/7, 365 days a year and we also pride our self on our punctuality and our fast response times. Being a family company run from home there is always someone to answer the calls. We have a wide range of skills with experience in the locksmith, security, electrical and building industry. Using all of these skills we are able to bring a service that we are extremely proud of. If you have any queries about a sub contract please feel free to call of number at the bottom of the page or send an email to the email address provided. If you get in touch we can send you a company flyer giving you an outline of our services on paper.